The Film & Video Club organizes for the 9th time the regional championship for Tyrol, South Tyrol & Vorarlberg. As final event the club shows a film retrospective of "Ing. 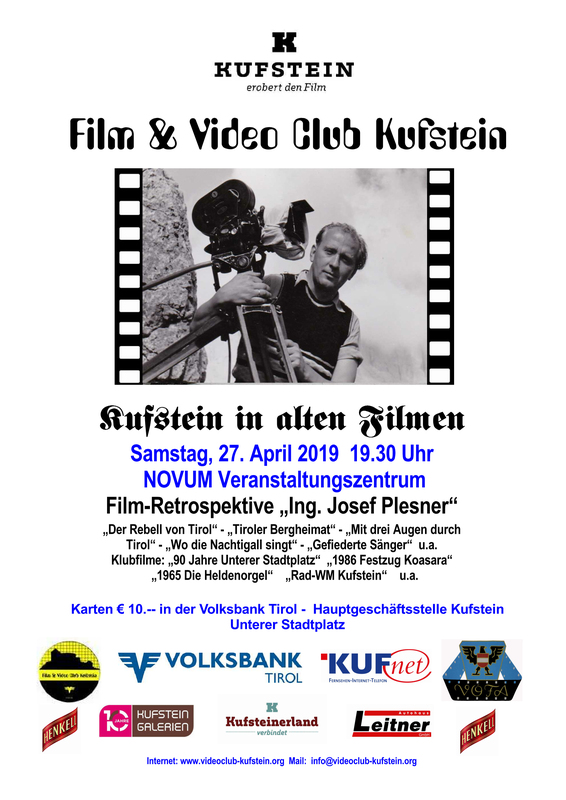 Josef Plesner" in the context of "Kufstein in alten Bildern".